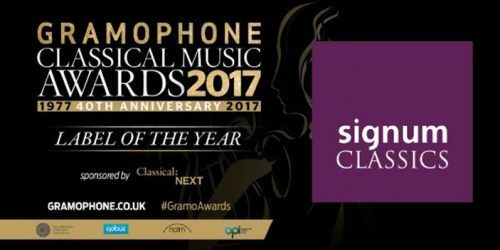 Huge congratulations to our friends at Signum Classics for winning Record Label of the Year at the Gramophone Classical Music Awards! We are delighted for the company who celebrate their 20th anniversary this year. We have loved working with them producing some of our most memorable recordings from Tenebrae’s debut release The Dream of Herod back in 2002 to this year’s Path of Miracles & Footsteps. From all of us here at Tenebrae, we wish them a very special congratulations and look forward to many more exciting collaborations!